I am Phelo Mkwebelana, 19. I am a first year student at University of the Western Cape, doing a Bachelor of Arts degree, with a major in Industrial Psychology. I graduated from Christel House South Africa in the year 2016 with a distinction in Business Studies. I enjoy socialising, interacting with people and I spend most of my time researching and learning new things. My home surroundings are very challenging; noisy, with many youngsters mostly interested in substance abuse and therefore I spend most of time at home reading and helping high schoolers with their homework and assignments during my spare time. I was very fortunate to attend Christel House, because I received and experienced things not many others do. I had amazing support from my teachers, social services and my principal. In my matric year, I resided at the school farm, away from the distractions and it helped me a lot, improving my grades. Currently, I am tutoring Business Studies to students in my community for free. I assist at my church with events and with youth services. 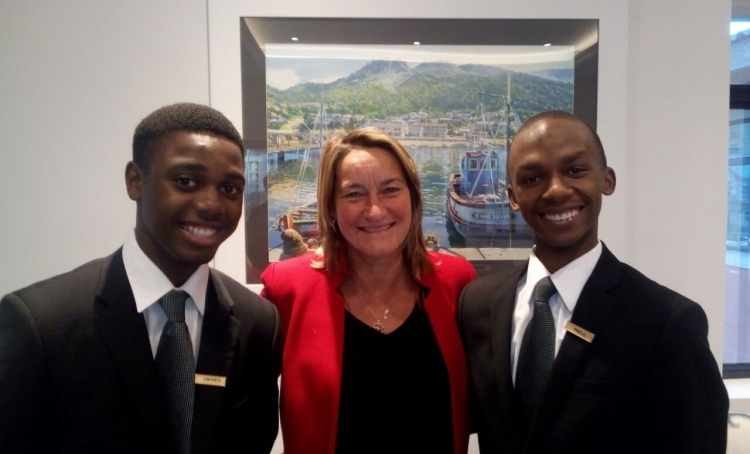 I was invited to be an HR intern at a five star hotel, the Cape Grace Hotel recently for 3 weeks. I helped with the screening of CV’s, sat in on interviews, both internal and external, set up training, attended HR meetings and assisted in organising the annual staff party. I worked with different people, such as Sandy Pollard (General Manager) and Celeste Dickson (HR Manager). I also learnt about employee benefits, such as medical aid. I enjoyed my time there very much and I really learnt a lot. Things like client satisfaction, being professional, be competent and consistent, working hard and always giving your one hundred percent. I carried with me Christel House core values which is Respect, Responsibility, Independence and integrity. Cape Grace thought me to have Gratitude, Abundance and to care for others. I also learnt about employee benefits, such as medical aid. I know these things will benefit me hugely in the future; therefore, I am extremely grateful for the experience.